Our raspberry patch is alive with color! 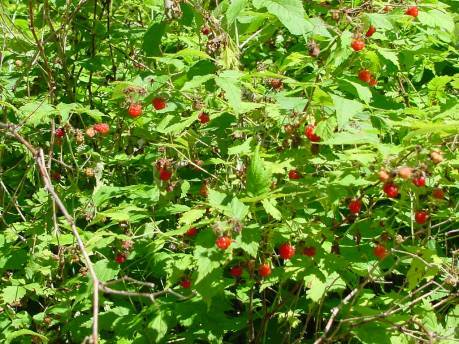 Early in the morning, I go out and pick fresh raspberries, which I add to my breakfast cereal or smoothie. Such a lovely addition, and so tasty! Sometimes I make jam. It’s so easy, and small batches work well. With small batches I can skip sterilizing the jars and simply refrigerate what I make for eating now. But if you want to make a large quantity, sterilize your jars first. Use equal parts sugar and raspberries. Turn on the heat to high and pour raspberries into a heavy saucepan. Mash slightly with a masher or a fork. Add sugar. Boil hard for 1 minute, stirring constantly. Lower heat to maintain a soft boil and cook until mixture thickens, approximately 5 minutes. Stir occasionally to prevent scorching. Pour into a clean glass jar. 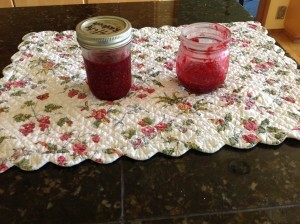 (If making a large quantity of jam, make sure the jars and sterilized and hot. Use canning lids to seal.) When cool, refrigerate your small batch. 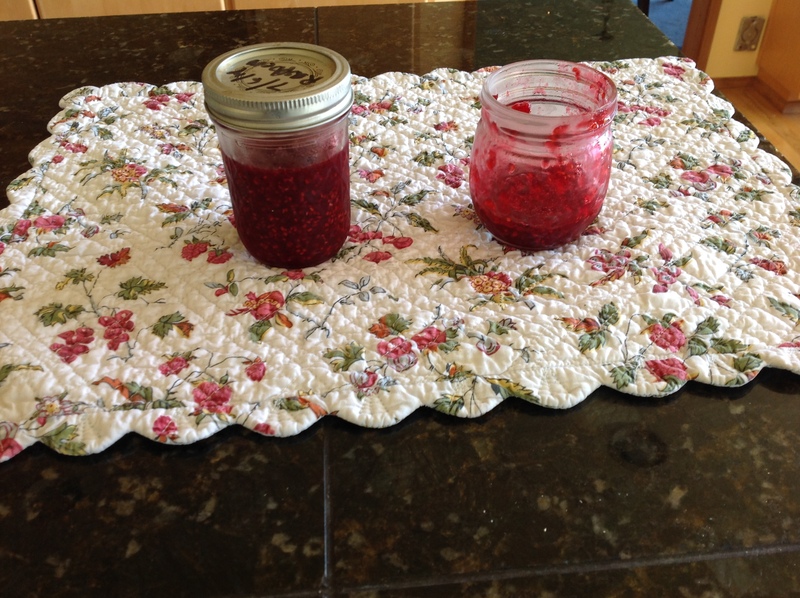 If you use the sterilize method, store your jam in a dark, cool, dry place.